Ethylin (Mimi) is the director of the laboratory. She received her MD, pediatric, and medical genetic training at The Johns Hopkins University. She was the Dr. Frank V. Sutland Professor of Pediatric Genetics, Professor of Pediatrics, Medicine, and Plastic Surgery, and Director of the Center for Craniofacial Development and Disorders at the Johns Hopkins School of Medicine. 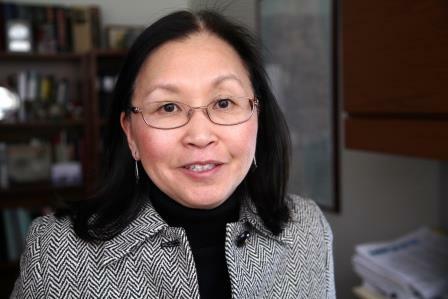 Currently, she is the Vice Chair of the Department of Genetics and Genomic Sciences at Icahn School of Medicine. The research focus of the laboratory is on developmental genetics. The group is investigating the molecular basis of human malformations, especially craniofacial disorders. She very much enjoys the adventure of original research and mentoring others. Erin Brittain serves as the administrative assistant for the Jabs group. Her duties include maintaining the websites and database of samples received by research participants. Erin also serves as the educational coordinator for the Department of Genetics and Genomic Sciences. She completed her graduate studies in classical voice in the Peabody Conservatory at Johns Hopkins University. In addition to working at Mount Sinai, Erin performs with opera companies and as a concert soloist both locally and regionally. Ana received her PhD degree in Biochemistry and Molecular Biology from the University of Sao Paulo in Brazil. She has worked as a Research Associate in academic institutions in Brazil, Denmark and United States, conducting experiments in molecular biology and genetics for application in Biotechnology, as well as in Basic and Medical Research. Ana joined Dr. Jabs lab in May 2018 as a lab manager. She is also involved in maintaining the animal colony and assisting on experiments of projects in the laboratory. Xiao is a PhD student in Dr. Jabs’s lab. He joined the biomedical sciences PhD program at Mount Sinai in 2015. Xiao is studying mammalian neural tube disease models cause by perturbation in folate metabolism pathways. When he was a senior at Oberlin College, Xiao learned to dissect pre-implantation and post-implantation mouse embryos. He experimented with in vitro development of mouse blastocyst and compared morphology to in utero development. Furthermore, he derived epiblast stem cells from these in vitro embryos. After Oberlin, he did a Master’s thesis with Dr. Steve Ward at the Institute for Biogenesis Research at the University of Hawaii on the mechanism of mammalian sperm chromatin damage. Na completed her PhD study from a joint training postgraduate program of Fudan University and Harvard University in 2006-2011. She finished her residency in Otorhinolaryngology at Shanghai ENT hospital of Fudan University, China in 2013. She has studied in the approach and mechanism to initiate inner ear hair cell regeneration and restore mammalian sensorineural hearing loss. She joined Jabs lab in May 2016 as a postdoctoral fellow, to further study the molecular basis of midface and upper airway abnormalities in craniosynostosis syndromes. Courtney graduated from the University of Colorado, Boulder in 2014 with a degree in Molecular Biology. She is currently enrolled in the Masters of Biomedical Science program at Mt Sinai. She joined the lab in 2014 and her research focuses on the cellular changes occurring in the midface of mouse models with craniosynostosis. Bill has had experience in immunology and molecular biology over a period of 35 years from his work at Johns Hopkins University. His research endeavors include identification of disease genes and comparative genomics. He has assisted—and continues to assist—in the experimental design of many of the projects in the laboratory. Bill received the Institute of Genetic Medicine Staff Award in 2004 from the Johns Hopkins University. His focus recently has been to find contributing genetic factors to the phenotypic variability of oculodentodigital dysplasia. Ying received her PhD in Endocrinology and Metabolism from Shanghai Jiao Tong University in China, studying the function of osteoglycin in the regulation of the hypothalamic-pituitary-adrenal (HPA) axis. She started her career in the Department of Endocrinology at Mount Sinai as a visiting scholar working on brain regulation of insulin sensitivity and bone turnover. She joined the Jabs laboratory in 2014 and is working on making induced pluripotent stem cells (iPSCs) to study disease pathogenesis. Bhavana is a Medical Graduate from Lokmanya Tilak Medical College, India. She is a current student at the Graduate School at Mount Sinai and joined the Jabs Lab in August 2017. She is studying the coronal suture and its development in pathogenic conditions resulting in craniosynostosis using data obtained from mouse models and patient derived iPSC lines. Arielle graduated McGill University in 2016 with a major concentration in Neuroscience and a minor in computer science. Her previous research experience focused on structural neuronal development, where she conducted single-cell electrophysiology to study the changes of D-serine in the synapse during key developmental periods. Her work was awarded the Brain@McGill award for Excellent Undergraduate Research. Arielle moved to New York in the summer of 2016 to begin the Masters of biomedical science program at Mount Sinai. In Dr. Jabs’ lab, her thesis focused on uncovering the mechanisms underlying abnormal limb development in Roberts syndrome. She received the 2018 Outstanding Research Innovation by a Student Award and the Best Masters Thesis Award at Mount Sinai. Yekaterina Vaydylevich comes to Sinai having worked at the National Human Genome Research Institute as a Program Analyst for multiple projects; including 1000 Genomes, ClinGen, and ENCODE. As well as working on data access policy as part of the GAIN Data Access Committee. She received two GREAT Awards from the NHGRI Director, and a 2015 NIH Director’s Award. She has a degree in Neuroscience from Claremont Mckenna College, where she worked as a research assistant in the labs of Dr. Paul Zak and Dr. Catherine Reed. 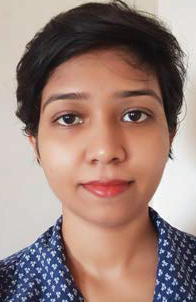 Having joined the Jabs lab for her PhD research, she now studies the formation and maintenance of the coronal suture using RNA-seq data from craniosynostosis mouse models, as well as patient derived iPSC lines. Anthony is an undergraduate student a Pace University, majoring in Molecular Biology and Organic Chemistry. Having experience in clinical research with the Mt. Sinai Adrenal Steroids Disorders Division under Dr. Maria New and Dr. Mabel Yau, he is pursuing broad spectrum experience in genetics and genomic sciences in a bench setting. Currently his skills are being utilized to carry out day to day experiments and procedures under the instruction of Gregory Holmes PhD and Meng Wu PhD and has an interest in investigating the molecular basis of genetic diseases. Meng received his PhD in Biochemistry and Molecular Biology from Peking Union Medical College in China, studying chromatin remodeling in cell differentiation. He started his postdoctoral training in 2009 in the Center for Molecular Cardiology at Mount Sinai. There, he studied heart development with mouse genetics, focusing on the function of epigenetic regulators in the development of the cardiac conduction system. Meng has a strong interest in gene regulation in development. He joined the Jabs group in 2014 and works on projects to elucidate molecular mechanisms of human malformation disorders. He is currently an Instructor in the Department. A full faculty profile is available here. 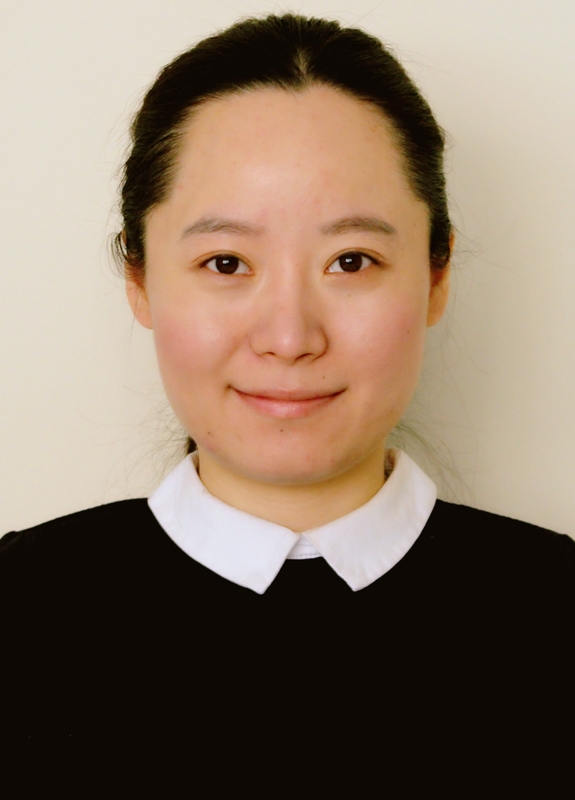 Xiaoqian came to the lab as a postdoctoral fellow in June 2009. She obtained her DMD and PhD degree from Hospital and School of Stomatology, Wuhan University in China. Her research centers on the underlying mechanisms of craniofacial malformations. Her main focus includes functional studies on Roberts-SC phocomelia syndrome, and in addition, using mouse genetic approaches to elucidate mutant genes and their pathways that are responsible for normal and perturbed development of craniofacial skeleton and other organs. Xiaoqian received a 2011 award from the Society of Craniofacial Genetics for her poster, “Candidate genes analysis of nonsyndromic sagittal craniosynostosis.” She is an Instructor in the Department. Claudia completed her Doctorate of Pharmacy in Marseilles, France and specialized in the Pharmaceutical Industry. She moved to the US in 2007 and enrolled in the MA of Biotechnology of Columbia University. After her MA, she was working in the Physiology and Cellular Biophysics lab at Columbia University Medical Center working on immune cells, especially neutrophils. She then joined the Neurology department, working on Alzheimer disease. She joined the Jabs laboratory in 2014 and was engaged in working on transgenic mouse models. She currently is working in industry. Monica completed her undergraduate degree in Biology as well as a Master’s degree in Biology with a focus on genetics at Universidad del Valle in Cali, Colombia. She then moved to the U.S. where she joined the Gene Discovery Lab in Mount Sinai. During this time, Monica participated in multiple projects including gene mapping, large scale SNP analysis, and genotyping for Mendelian and complex disorders, including Setleis syndrome, Tukel syndrome and Crohn’s disease. Monica then completed her Master’s degree in Genetic Counseling at Mount Sinai, graduating in 2012. Monica is now a practicing Genetic Counselor at Elmhurst Hospital in New York, while building databases for our lab. Nick graduated from the University of Wisconsin-Madison with a major in Microbiology. At UW, he studied metabolic integration and redundancy in Salmonella enterica under the mentorship of Dr. Diana Downs. After he received his Masters in Biomedical Sciences performing research on effects of fibroblast growth factor receptor in brain development in the Jabs laboratory, he entered the Mount Sinai MD/PhD program. He is interested in investigating the molecular bases of human genetic diseases. Greg received his PhD from The University of Queensland, Australia. 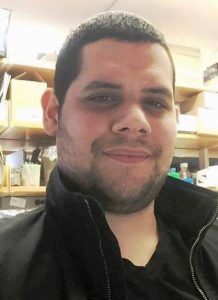 His postdoctoral training has been in the laboratories of Lee Niswander (Memorial Sloan-Kettering Cancer Center, NY) studying chick and mouse embryological limb development, and Claudio Basilico (NYU School of Medicine, NY) studying interactions between the Fgf and Wnt signaling pathways, including the role of Sox2, in osteoblasts. While there, he developed a strong interest in craniofacial development, and worked on the Apert craniosynostosis syndrome. He joined the Jabs group in 2011 to pursue further research into the molecular processes and tissue interactions underlying a variety of craniosynostosis syndromes. He is currently an Assistant Professor in the Department. A full faculty profile is available here. Tin received his B.A. in Economics from NYU in 2015. He previously studied transcription factors involved in the mesolimbic dopamine pathway due to early life stress (ELS) and its complication in adult life using mouse models at the Fishberg Department of Neuroscience at Mount Sinai. He joined the Jabs lab in 2015 and is involved in maintaining and genotyping mice, characterizing mutant mice, analyzing gene expression and signaling pathways in abnormal developmental processes for craniofacial disorders such as Crouzon, Apert and Roberts syndrome. He currently is a medical student at Mount Sinai. Joshua graduated from Pace University-NYC in 2014 with B.S. in Cellular Biology. As a New York native he calls this city home. He began his career working in immunology/oncology, gaining experience in a broad spectrum of mouse genetics and anatomy. Currently, his skills are being used to work on craniosynostosis and the genetic profiling of genes differentially expressed in the osteogenic fronts versus expression in the suture mesenchyme using advanced techniques like sc-RNAseq. He has since moved on to University of Massachusetts’ Center for Personalized Cancer Therapy to pursue a Ph.D. in breast cancer genetics with Dr. Shailja Pathania in Boston, MA. Yingli received her DMD from Xi’an Medical University and PhD from Peking University of China. She finished her postdoctoral training at the Johns Hopkins University. She has risen to the position of Assistant Professor at Icahn School of Medicine. Her research focuses on studying the pathogenesis and molecular mechanism of human genetic malformations with craniofacial abnormalities, including Apert, Beare-Stevenson cutis gyrata and Saethre-Chotzen syndromes, by analyzing transgenic mouse models. She left the Jabs lab to receive her DMD from University of Pennsylvania and become a board certified dentist in the US. Bryn Webb completed the combined Pediatrics/Medical Genetics 5-year residency program at Mount Sinai. She has had a strong interest in basic science research since her first laboratory internship while in college at the age of 17. Bryn has received numerous scholarships and fellowships to work in research labs at a variety of institutions including Harvard Medical School and the National Institutes of Health. Bryn joined the Jabs lab in 2009 and is currently working on projects studying Moebius and Goldenhar syndromes. In 2011 Bryn received an award from the Moebius Syndrome Foundation and the Rappaport Memorial Resident Research Award. She is a physician-scientist and an Assistant Professor in the Department. A full faculty profile is available here. Jinglan received his PhD in 2009 from Baylor College of Medicine in Biochemistry and Molecular Biology. He is receiving his postdoctoral training in Clinical Biochemical Genetics and Clinical Molecular Biology at Mount Sinai and now an Assistant Professor in the Department of Molecular and Human Genetics at Baylor. He is continuing to collaborate with the Jabs laboratory. Jinglan is very interested in developing new methodology to discover human disease biomarkers. Xueyan (Sherry) acquired her MD and MS in Microbiology from Hebei Medical University of P.R. China. She had been working as an assistant researcher in the Department of Dermatology at Mount Sinai for 5 years. She was a senior lab technician of the Jabs laboratory from 2009-to 2014. Her research focused on studying the transgenic mouse models of craniofacial abnormalities including Apert, Beare-Stevenson cutis gyrata and Saethre-Chotzen syndromes. She is currently a laboratory manager at Wake Forest University.